Iron Dog board announces nearly $200K in potential payout. Firmly putting to bed the question of if there would even be a 2019 backcountry Alaska snowmachine race, the Iron Dog board of directors just made the race interesting with a $100,000 cash purse. 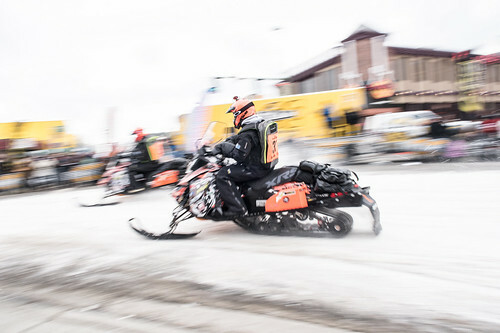 In addition to the purse, the Iron Dog also offers more than $82,000 in contingency prizes, including a $10,000 Donlin Gold halfway award in Nome. The 2019 race boasts more than $192,000 in potential payouts. In addition, the fast-paced non-profit is raffling off a half-acre of land and a tiny house as a fundraiser for the organization. A portion of the raffle proceeds are donated to local non- profit groups. 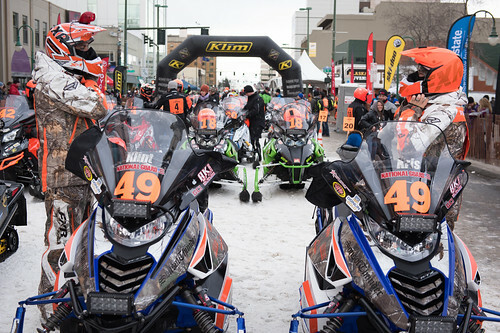 Fifty-nine riders will head out on the Iron Dog trail mid-February, with 24 two-person Pro Class teams heading toward Fairbanks via Nome at 11 a.m. Feb. 17 from Deshka Landing. 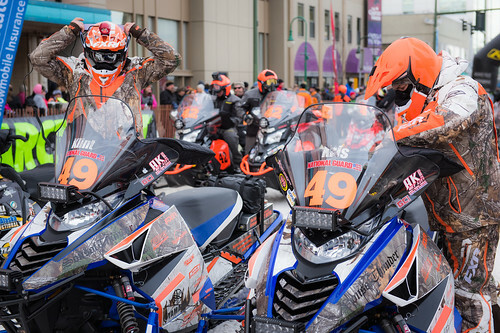 The Pro Class start was moved to Deshka Landing, Milepost 70.8 Parks Highway, after potentially unsafe ice conditions were discovered on Big Lake following the Nov. 30, 2018 earthquake. Eleven trail class riders will leave at 10 a.m. Feb. 15 from the trails near Big Lake. “Deshka is offering a cut-rate parking fee on Sunday of $5 per vehicle, so fill that rig up with bodies and save us some space and you some money,” he said. Vehicles with trailers and overnight parking also have special pricing. The Iron Dog traverses the backcountry of Alaska, from Deshka Landing to Nome, then back toward the Yukon River and northeast to the Fairbanks finish at Pike’s Waterfront Lodge on the Chena River. Leaders are expected into the finish before noon on Feb. 23 at Pike’s. The fastest Pro Class teams cover the nearly 2,000 route in just over 35 hours of course time. Others take their time, or suffer from mayhem, as they wind their way through the 22 checkpoints along the racecourse. 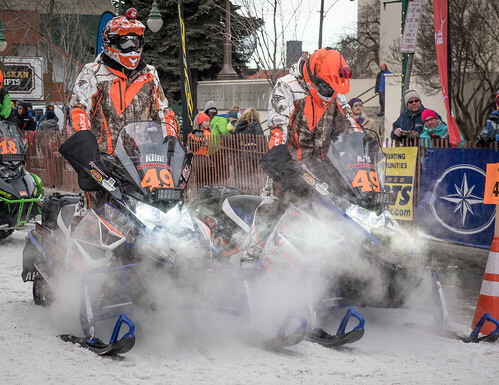 The Iron Dog race is a world-class snowmachine event that crosses the state of Alaska each February, impacting more than 25 Alaskan communities. 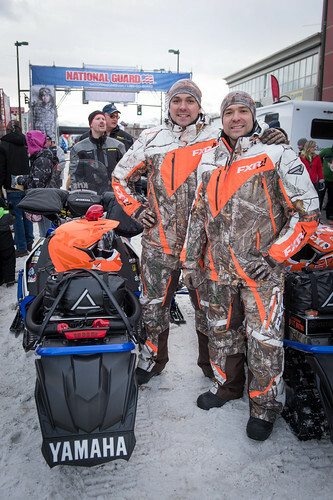 The Iron Dog teams race from Anchorage to Nome and finish in Fairbanks. 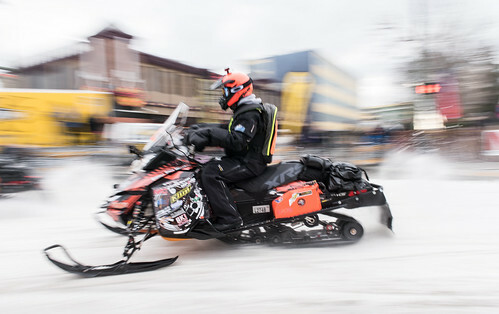 Racers travel nearly 2,000 miles of Alaska’s most remote and rugged terrain while surviving the harsh Alaskan winter conditions and sub-zero temperatures. 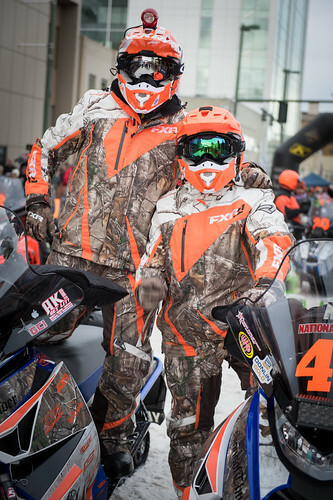 Iron Dog, Inc. is a proud leader in the community promoting snowmachine safety and outdoor education through trade shows, seminars and community events. 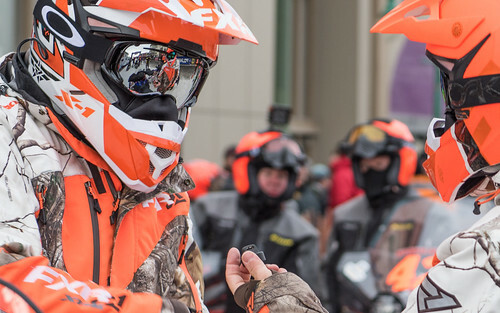 Iron Dog, Inc. conducts yearly successful student programs, and through its annual raffle has donated nearly $250,000 to Alaska charities since 2011. Executive Director, Iron Dog, Inc.